THE BULLYS & BLUES, ARE APBT? THE DOGS CALLED BULLYS, BULLIES AND BLUES, ARE REALLY APBT? The calls “Bullies”, “Bullys” and “Blues” come from crossings in which looked a physical deformity and to make them spectacular to draw attention to the futures buyers. 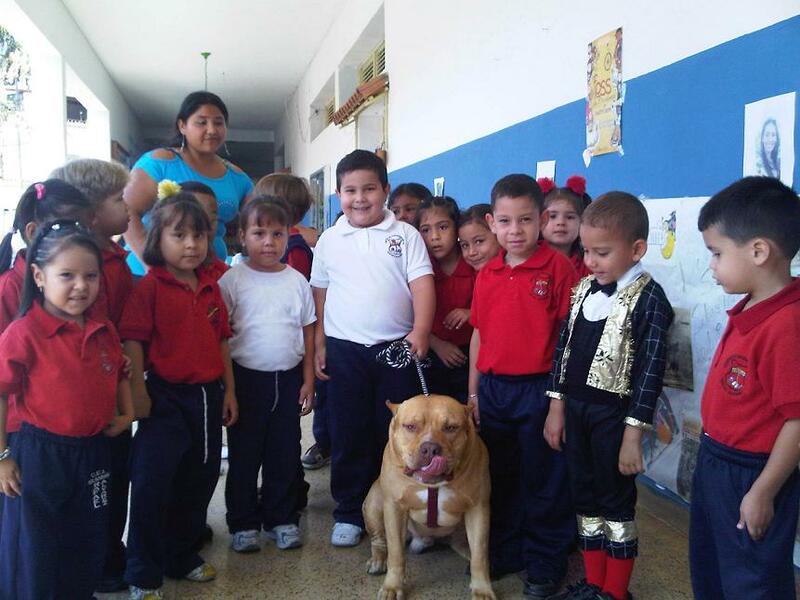 The physical functionality of these dogs remained practically annulled, are dogs with very little blood of American Pit Bull Terrier or nothing, being completely the opposite of the APBT as far as appearance, resistance and functionality between several things more. The “Bullies”, “Bullys” and “Blues” usually have crossing of American Bulldog, with English Bulldog, Canary Presa, Neapolitan Mastín, and little or nothing of APBT. Bully or Bullie, of colour Blue. By his colour also to them usually are denominated, like Blues. 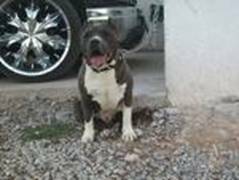 Some people that breed this kind of dogs, denominate them like APBT, taking advantage the popularity of the American Pit Bull Terrier (APBT) to try to sell better and better price his puppies. The main reason of many of this people that breed with this dogs is for the money, this is ok, but they would not must damage the quality of life to that animals doing them physically defective to take the attention and to deceive saying that they are pure APBT. In addition, many of these “Breeders” do not know of where come their Bullys, Blues or Bullies, with the consequent genetic danger at the time of reproducing them, by deficiency of data and experience. I do not say that this kind of dogs are bad dogs no, certainly will be wonderful of character and very good dogs of family, about of this I am completely convinced, but I say that going completely without information in the breeding of any kind of dog is a little reckless, as far as having more guarantees to be able a balanced character, among others characteristic always important to consider. Another handicap that have this kind of dogs, is the ominous physical functionality that they own, since we can appreciate that they are dogs deformed physically without possibilities of developing works that require a minimum of resistance. For example in a simple race of 3 minutes, it can even give cardiac unemployment them and to which it does not happen this to him, most probable it is than one will fall on his own shade of the fatigue. 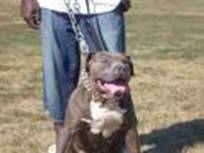 This last is totally the opposite than always it has looked for in the pure breed dog American Pit Bull Terrier, which was, be and will be the “Bred Dog of Work by Excellence”, especially in resistance and tenacity. 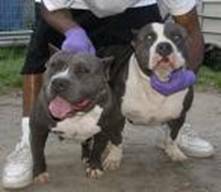 A pair of Bullys or Bullies, of colour Blue. By his colour also to them usually are denominated, like Blues. 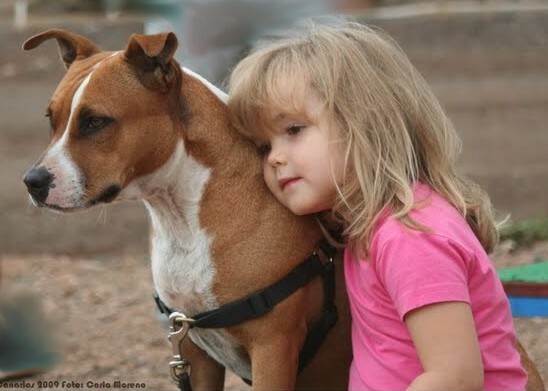 As we already know in this life must have tastes for everything, also it is ok and normal, but what this clearly, it is that the authentic American Pit Bull Terrier is another thing completely different from which they want to show us with these Bullys, Bullies, Blues, etc. For avoid confusions is good inform, that exist some pure APBT and them can be of colour “Blue”. This colour really is not a blue colour, are tones of grays and this tonality or colour is not disqualified in the Official Standard of the Breed. These pure APBT ““Blue”, nothing have to do with firstly mentioned in this chapter also denominated like “Blues”, the unique thing that have in common all these dogs is its colour “Blue”, nothing else. The blue colour in the APBT although is allowing in its Standard, is a quite atypical colour in the breed. Personally, not yet I have seen none pure APBT of that colour or at least not remember that. The best APBT of history none of them showed that colour, although this does not mean that they do not exist. 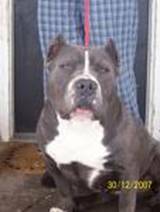 What one becomes quite strange and suspicious, is that in just a short time the “Blues” arise so many APBT, even more when the majority of these dogs is not inside of the Official Standard of this breed. 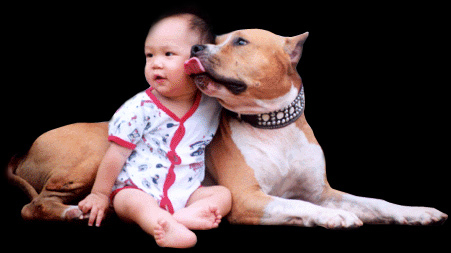 Many of the owners of this kind of dogs, do not know that their dogs are not APBT. This article was written by Mariano Peinado from Villa Liberty Kennel. @ THE JOB AND SPORTS WITH THE AMERICAN PIT BULL TERRIER. @BLOODLINES? “OLD FAMILY RED NOSE” (OFRN).